This simple, but elegant necklace has a delicate 16" sterling silver round cable chain. Attached to the chain is a real birch leaf. The leaf is hand painted with a copper based paint and then electroplated with pure silver. 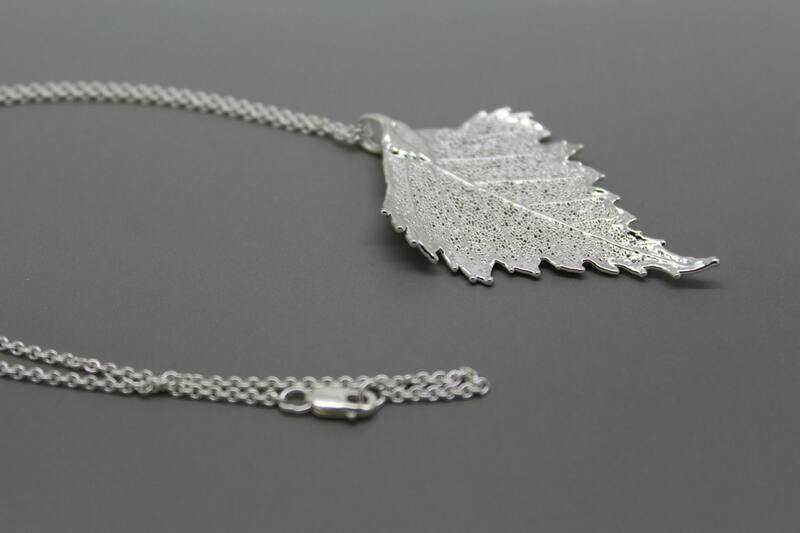 Because each leaf is individually painted, no two will be alike, resulting in a unique and beautiful leaf that is preserved in pure silver. Necklace chain has a lobster clasp. Birch leaf is approx 1-5/16" wide by 2-3/16" long.